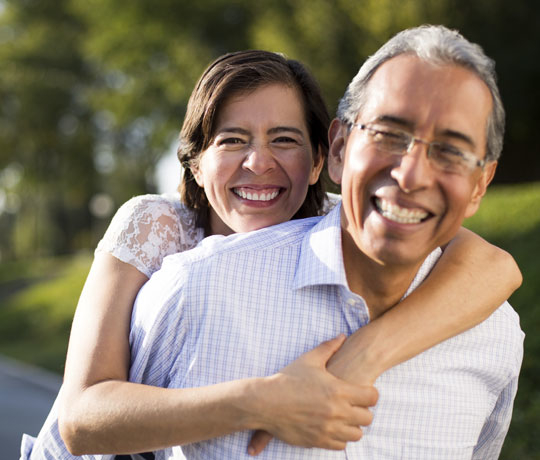 When someone’s heart is not beating as well as it should, also known as heart arrhythmia, the physician's practice of UT Health San Antonio's specialized team of cardiologists provides accurate diagnosis and effective, individualized treatment. Our cardiology practice provides expertise, research, and training for treating all heart conditions, including electrophysiology. We are staffed by a multidisciplinary team of board-certified cardiologists, including electrophysiologists, or E.Ps. Electrophysiologists care for patients whose hearts have irregular electrical activity, making the heart less effective at pumping blood to the rest of the body. When a patient experiencing heart arrhythmia arrives in our practice, our specialists take a thorough medical history and order all cardiac testing required to determine a diagnosis. These diagnostic tests could include: an ultrasound of the heart, called an echocardiogram, an electrocardiogram (EKG), and an at-home monitor called a Holter monitor. Our board-certified electrophysiologists constantly work in tandem with our interventional and non-invasive cardiologists to ensure every patient receives thorough testing and the most effective treatment. Atrial fibrillation/flutter ablation is a procedure that locates and cuts off the abnormal electrical pathway in your heart that is causing your heart rhythm to quiver (a common irregular heart rhythm problem) and produce blood clots. Bi-ventricular resynchronization implantation is a procedure where pacer leads are implanted in both pumping chambers of your heart to "re-synchronize or re-time" so both chambers pump at the same time. This helps move blood through the heart and more efficiently delivers blood to the organs of the body. Implantable cardioverter defibrillator (ICD) is a device that sends an electric current through the heart. It is for people who have an abnormal, fast heart rate that may cause fainting or their heart to stop pumping properly. When medicines do not work, an ICD Implantation is done. It is implanted beneath the skin and is about the size of a small cell phone. Permanent pacemaker implantation is the surgical procedure of placing a permanent pacemaker into the chest through a small incision. The pacemaker is attached to the heart through a wire that is threaded through a neck vein. A pacemaker is a small, battery-powered device that sends out weak electrical impulses that cause the heart muscle to contract. It replaces the function of the natural pacemaker of the heart when the heart is beating too slowly. Radiofrequency ablation is used to treat abnormal heart rhythms, or arrhythmias. Your physician will insert a thin, tube (catheter) into the heart. A special machine delivers energy through the catheter to tiny areas of the heart. This energy "disconnects" the pathway of the abnormal heart rhythm. Ablation re-establishes a normal heart rhythm in people with certain arrhythmias and can help control the heart rate in people with rapid arrhythmias as well as reduce the risk of blood clots and strokes.